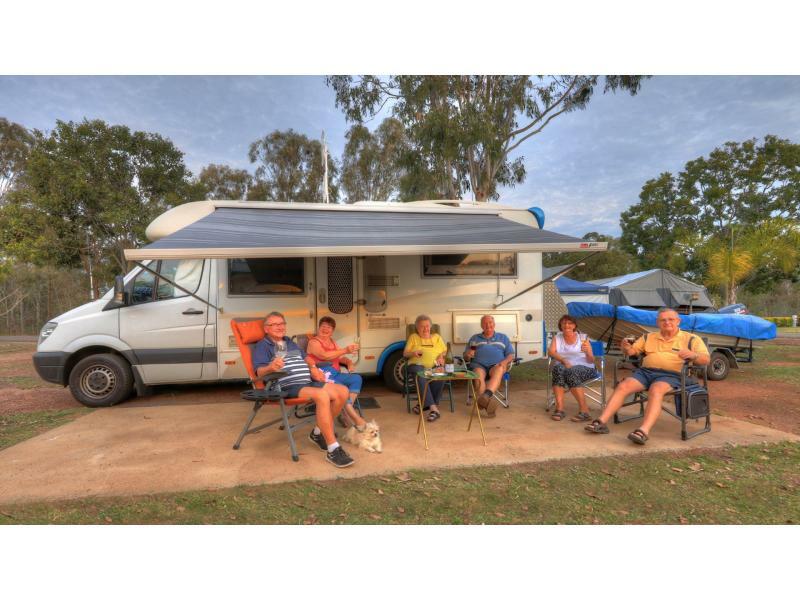 Stay overnight at Yallakool Caravan Park on BP Dam and feel like you've escaped from everyday life to catch up on the things that matter. 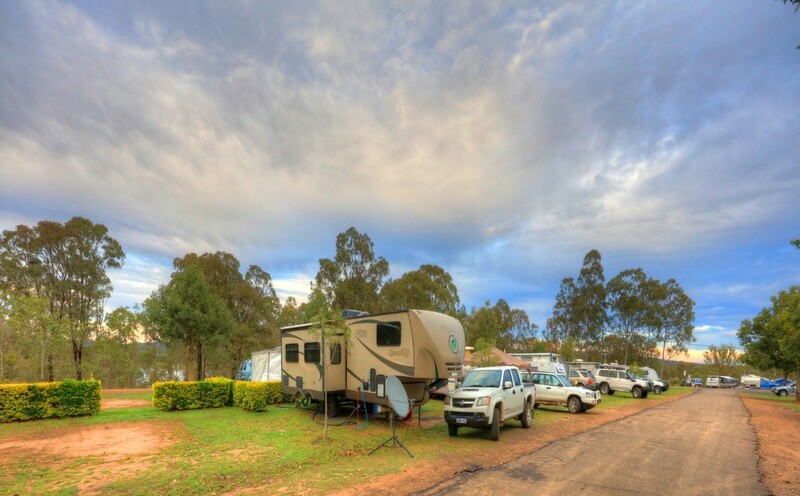 The cabins, camping and caravan sites nestle right on the banks of the Bjelke-Petersen Dam in the middle of natural Australian bushland where you can reconnect with your family and friends around a friendly campfire or barbeque. If you want to bring the family - PERFECT - as there is a pool, tennis court and modern play equipment located on-site. 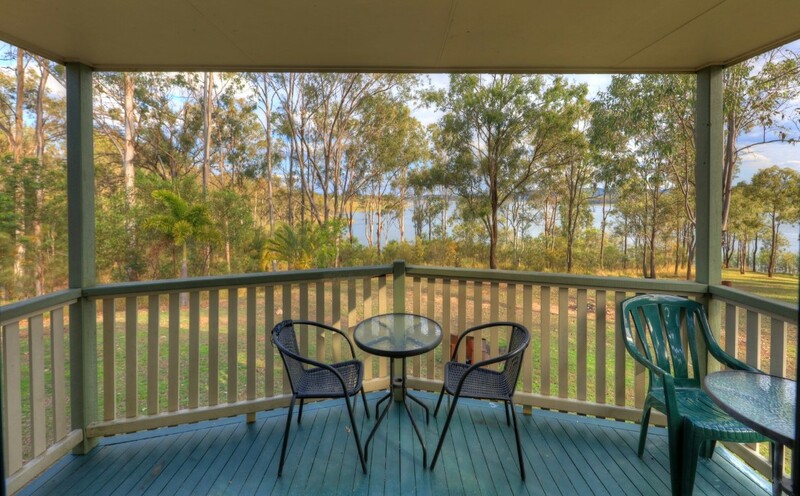 No need to worry about packing the fridge, as there is a Kiosk on-site for essentials and the township of Murgon is within 20 minutes drive. Spend your time enjoying all types of water sports - kayaking, tubing, knee boarding, water skiing and jet skiing - and a spot of fishing (don't forget to check our Fishing Report!). 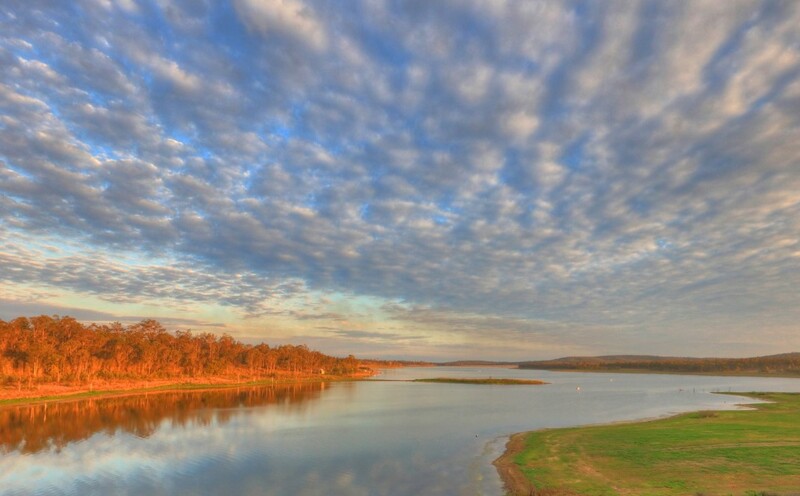 Bjelke-Petersen Dam is a stocked impoundment so a permit is required to fish in the dam. Some of the most popular catches are Golden Perch (or Yellowbelly) and Australian Bass with Silver Perch also stocked in the dam. The dam is also popular with those wanting to catch red claw. Permits are not required for catching this delicacy but please remember that all red claw caught must be taken as they are considered a pest and not permitted to be thrown back. A number of fishing competitions are held throughout the year. 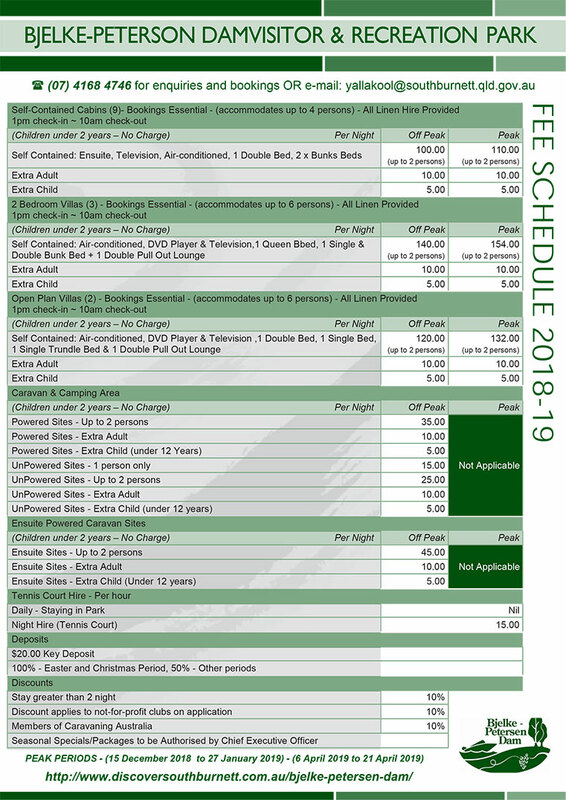 When booking your accommodation we are more than happy to discuss competitions for the year and other events that might be happening in and around the dam. 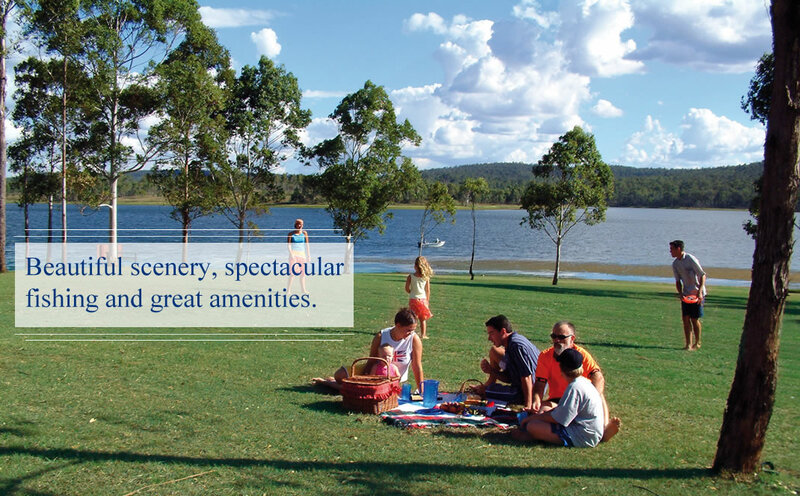 The Vibrant region of the South Burnett has many wineries/cellar doors, museums and natural attractions. Just tell us what you're looking to do for your weekend and we can help you with information on the many and varied activities/destination in the area. The great thing about spending time outside is that you can feel each season change in the South Burnett - and the dam is no exception. Fish through the morning fog of Winter or sport your best bucket hat and esky on a hot summer's day - we're open all year round! 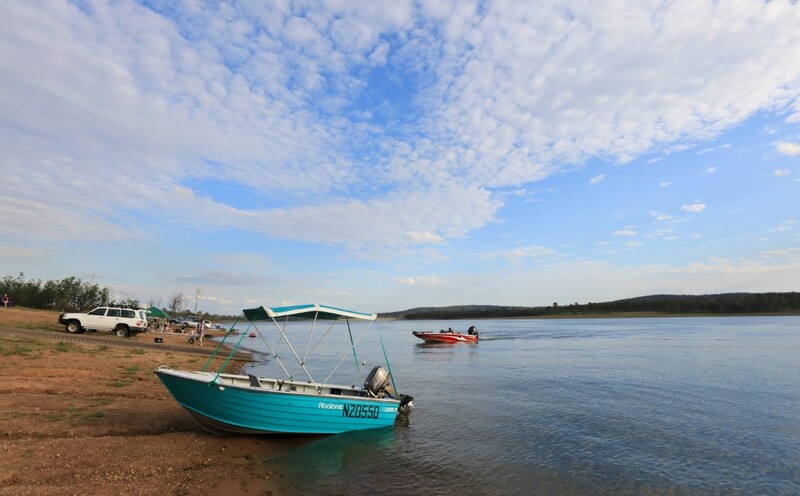 If you enjoy fresh country air and a place where you can relax, swim, fish, boat or water ski, then Bjelke-Petersen Dam is the place for you to spend some time! It's a great place for an even better getaway!